On an abandoned suburb, the project made waking up every day to attend school under an outstanding green-roofed structure as a child’s right. The Marcel Sembat High School offers technical education about motors and vehicle mechanics. It demands vast spaces with high ceilings and large surfaces. It’s located in a declining industrial suburb of the port of Rouen, France. The site and the size of the programme turned the project to a combination of landscape design, architecture and town planning. While cleared of the six early disordered 30’s buildings, the site appears like a clearing between a large park and the city. 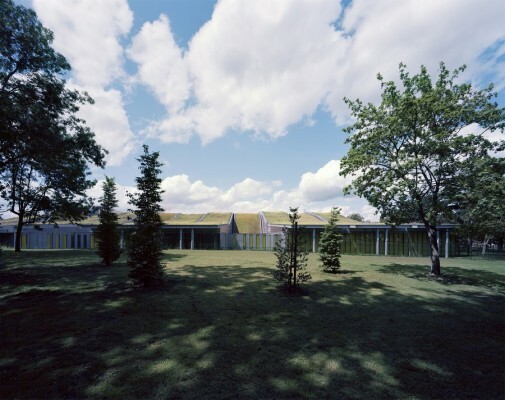 The needed substantial volume for the workshops is covered by a striped green-roof. 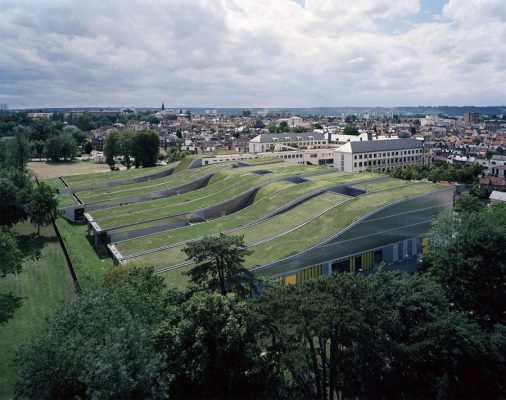 The building starts at the boundary of the park and fits naturally in the site by the wavy design of its vegetated roof. It reconnects the existing school with its surroundings, so that its soft lines and slopes blend naturally into the physical features of the park on one hectare. Ideally, the project should also respond to the social setting. 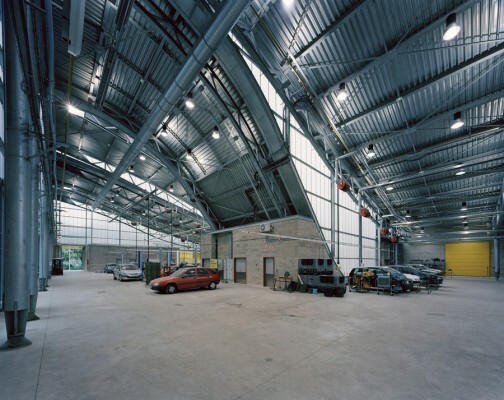 We aimed to use the largest, lightest and most pleasant part of the site to house the workshops. The classrooms are displayed along the long side of the workshop, with direct visual relations, to bring back together intellectual and manual activities. 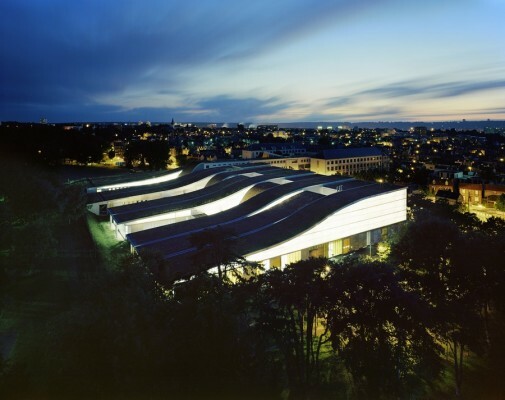 The design of the roof lets natural light reaching deep inside, protects from the direct sun. The curves of the structure remind the sensual shapes of old car wings to offer a new image of manufacturing environments. Steel structure allows long span use to free the ground level of structure. On the city side, we redesigned the public space to connect the high school with its workshops and with the future public library. We dare that this clear and understandable design will light up students’ and teachers’ everyday life.